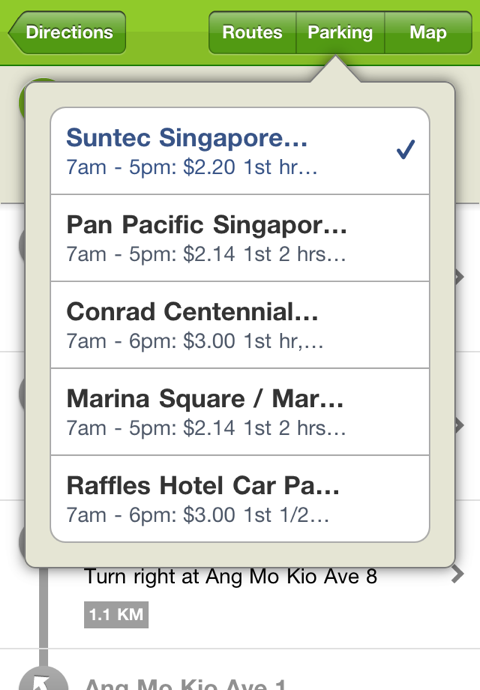 The best way to get travel directions in Singapore. If you'd like to review our app, tell us about your blog and we'll send a free redeem code! 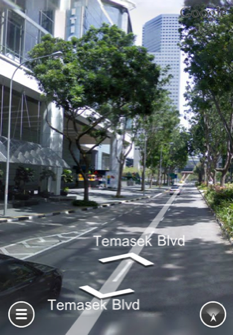 Really powerful search – Our ninja search engine can find almost anything you throw at it; postal codes, street names, building names, even acronyms like 'amk'! Different modes of transport in a glance – Compare trip duration and cost between all modes of transport; bus, train, taxi and drive. Step-by-step instructions – Get clear and concise instructions that guide you all the way to your destination. Time-sensitive directions – Directions are based on availability according to the time of day, so you'll always know your options while on the go. 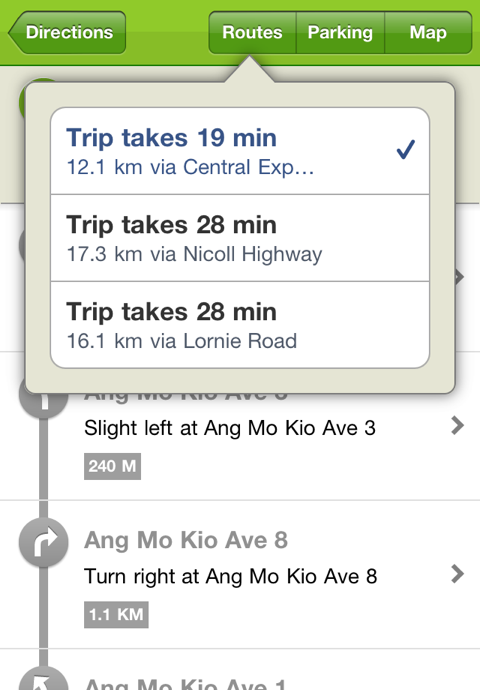 Multiple alternative routes – Wanna explore more ways to get to your destination? 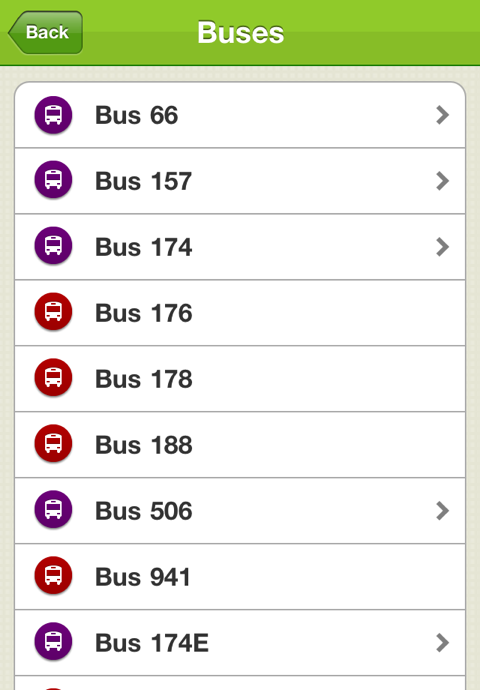 Choose between alternative routes for every mode of transport! 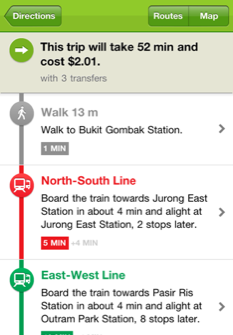 Instructions for bus and train directions are broken down into steps, which include journey leg times and estimated waiting times. 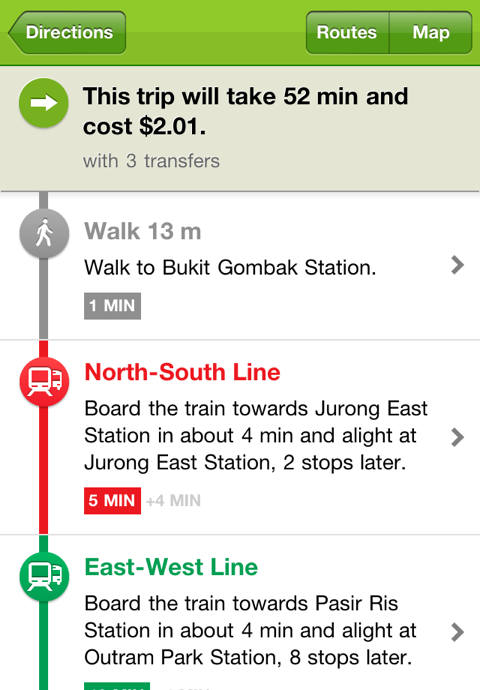 Bus and train services are suggested based on time of journey, e.g. Night Rider services are suggested when your regular buses are off service late at night on weekends. 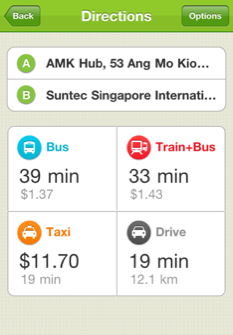 Search or browse bus stops and see more information on bus services, as well as arrival times through SBS mobile IRIS. Our taxi fare estimation includes a breakdown of the different applicable charges, such as CBD, peak hour or late night surcharges. Book a cab with the app! 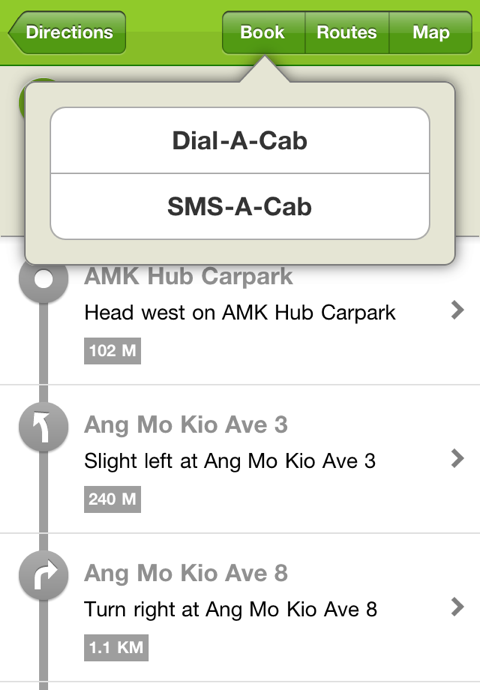 Dial a cab from inside the app, or use the SMS option which prepares a message with your current location – all you need to do is press send. 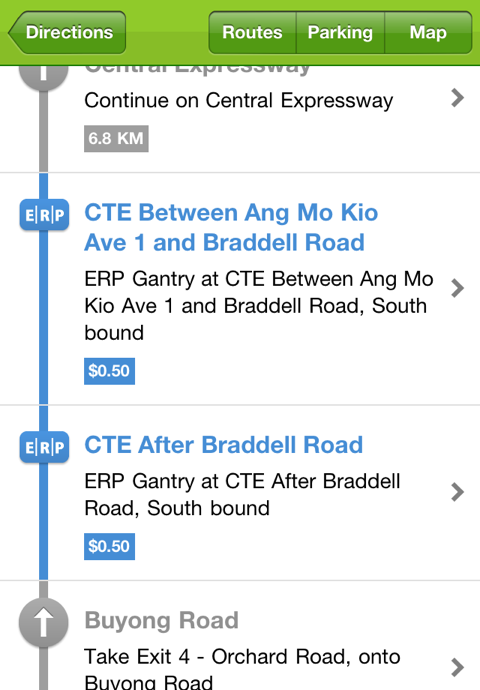 Choose between different routes to your destination, or explore options to try minimise ERP or avoid highways, which may be useful during rush hour. 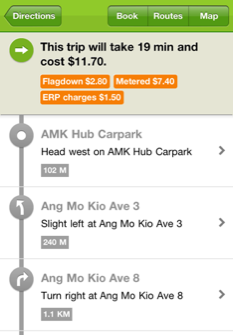 Check if your trip in and out of town will incur any ERP charges. If so, use the 'minimise ERP' option to see if there's a different route that will result in lower ERP charges. 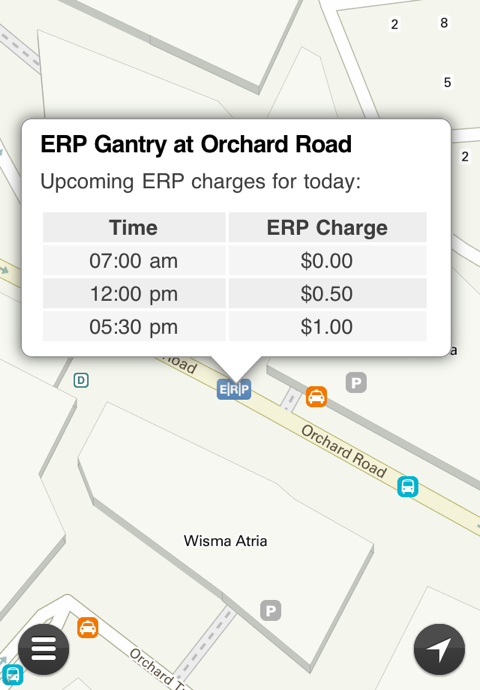 View ERP gantries on the map, and tap to see information on upcoming ERP charges for the day. 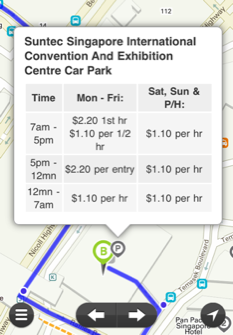 Compare and choose between carparks at your destination, and we'll show you the way to the entrance when possible. 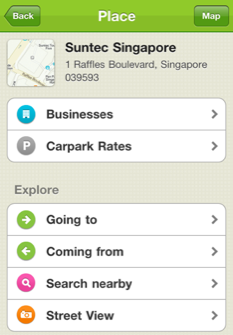 Browse a list of carparks around your current location, or try searching for a particular building (e.g 'Vivocity') to see its carpark rates. 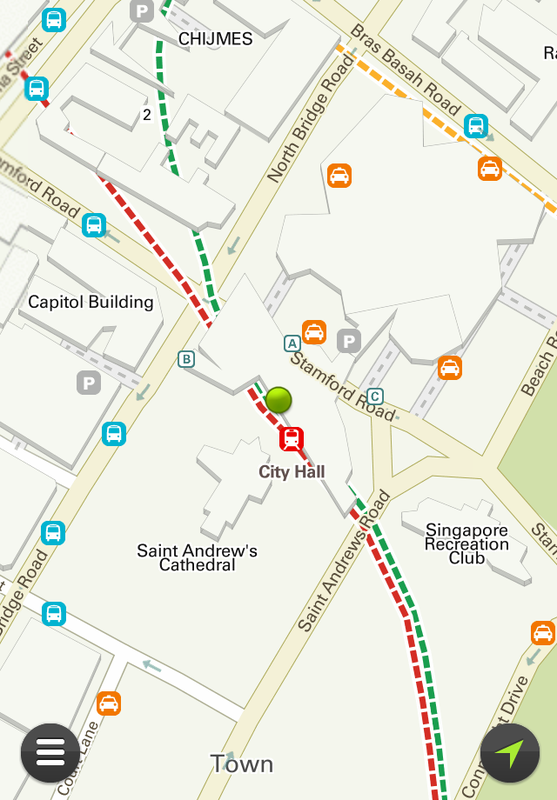 Maps on gothere.sg are designed to show the optimum amount of detail for each zoom level. 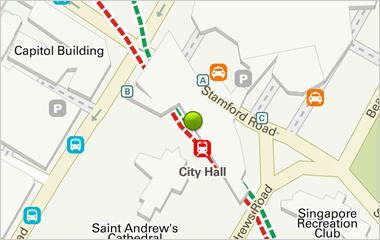 The pretty maps aren't just for show though – tap on bus stops, carparks and ERP icons to display more relevant information. 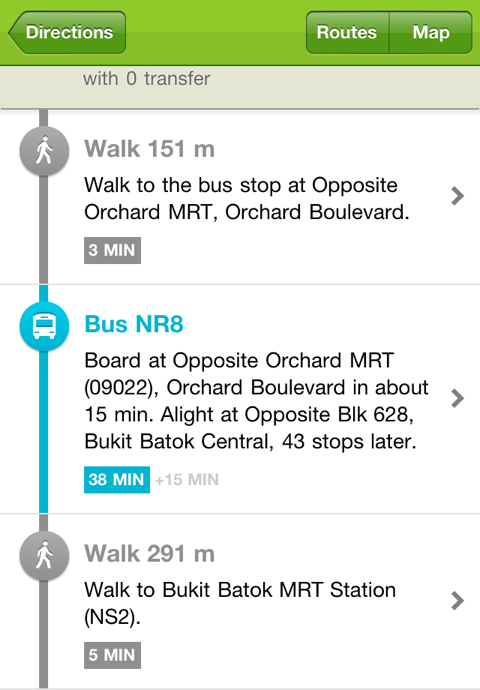 You can even access bus arrival timings from the map itself. Thinking of tracking your location while you travel? Yup, the app does that too. 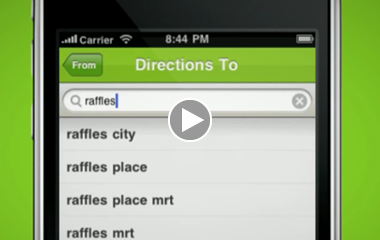 Tap on the location button twice to rotate the map to the direction you're facing. 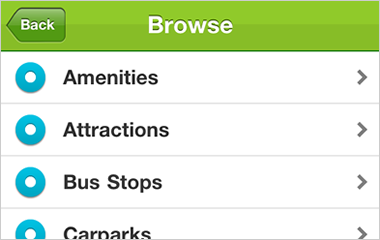 Explore our lists of useful amenities (e.g. ATMs, petrol stations, supermarkets), and businesses (e.g. cafes, restaurants, hotels). Business pages include information like addresses and telephone numbers. 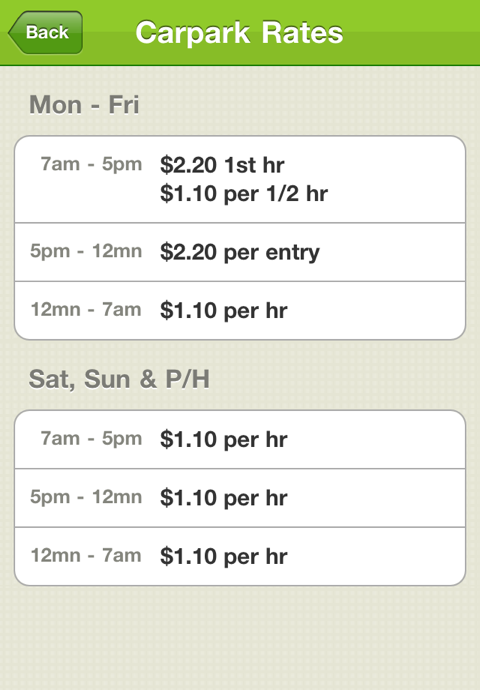 Restaurants and food places even have links to Sparklette.net and HungryGoWhere reviews where possible.